When Will The Boeing 737 MAX Fly Again? The Boeing 737 MAX was grounded earlier this month. Since then, a hot question has been “When will the aircraft fly again?” Simple Flying takes a look at the fixes being implemented, in addition to what operators think of the aircraft. It’s now been 19 days since the Ethiopian Airlines accident which saw 157 lives lost when flight ET302 plummeted to the ground shortly after takeoff. While China was the first to ground the jet, it took the US until March 13th to ground the jet. This action was finally announced by President Trump in a rather unusual move. 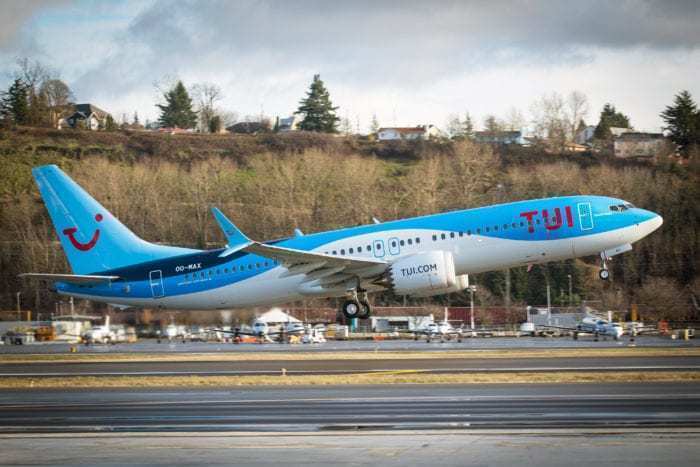 TUI believes the B737 MAX will be grounded until at least mid-July. Photo: Boeing. While we await the official results into the two accidents that caused the grounding of the 737 MAX, some facts seem well established. It looks as though both accidents were caused by the aircraft’s anti-stall system. The aircraft has an additional MCAS system due to its design. This is to stop the aircraft stalling, due to its differing centre of gravity to older 737 models. Boeing has been working on a fix to the anti-stall software for some time now. 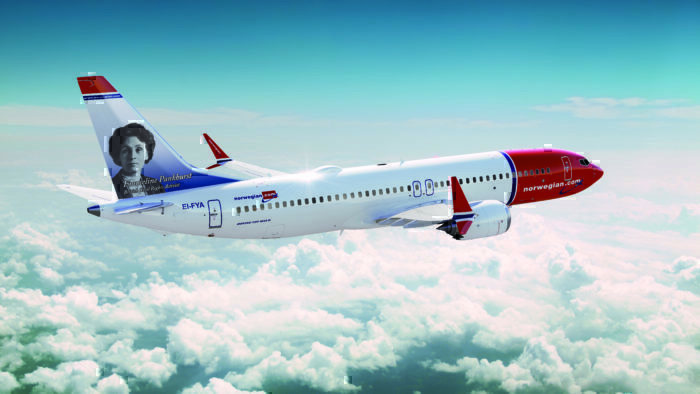 However, Reuters today reported that regulators including EASA knew that the MAX’s trim control was confusing. There is currently great uncertainty in the industry as to when the Boeing 737 MAX will fly again. While American Airlines pilots are testing out the software fix in Boeing’s simulators, much more still needs to be done. Firstly, the manufacturer needs to convince the FAA that the fix has remedied the problem. Next, it then has to convince other agencies including EASA. After convincing aviation authorities that the aircraft is safe, the manufacturer will then need to convince airlines that the aircraft is once again safe. We know that airlines are not just acting on authority’s orders, as many grounded the plane before their respective aviation authority. Finally, Boeing will need to convince the public that the aircraft is safe to fly. 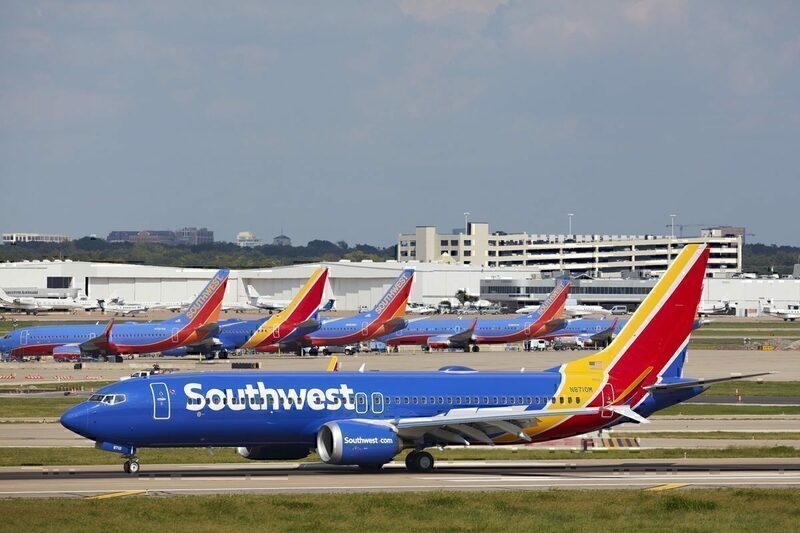 Simple Flying additionally contacted Southwest Airlines for comment, however, is still awaiting a response from each. When do you think we will see the aircraft in the skies again? Would you trust it following recertification? Let us know in the comments down below! It’s not the center of gravity that’s the issue but the forward position of the engines gives a longer moment arm that wants to raise the nose especially with more thrust available. The center of gravity would push the nose down from being moved forward. The pilots should have realized that they had stab trim runway and needed to hit the two shut off switches and manually adjust the stab trim. Wrongo Old guy… The power moment (i.e. to raise the nose) is a result of thrust, the centerline for the 737 Max thrust is only slightly altered due to the position of the engines, the much greater thrust produced by the new CFM Leap engine is the source of increased pitch forces during take-off and climb. The larger diameter of the new engine and cowling is also an aggravating factor in high angle-of-attack configuration (i.e. climb) as cowling causes a lift shadow over that portion of the wing directly downstream of the engine. This requires an increase in AoA to counter the loss. FTR during the first segments of take-off and initial climb pilots are monitoring airspeed and attitude indicators, power settings and thrust, flap settings, and looking outside if required – the well-marked trim wheels may not be visible to them as the MCAS system engages. Also, MCAS should only engage once the flaps have been retracted – when pilots are still checking airspeed, getting further departure headings/altitudes, and configuring for cruise-climb (the trim wheels move frequently during this phase so the extreme excursions from faulty MCAS inputs may not be recognized). It’s not the center of gravity that’s the issue but the forward position of the engines gives a longer moment arm that wants to raise the nose especially with more thrust available. The center of gravity would push the nose down from being moved forward. The pilots should have realized that they had stab trim runway and kill to hit the two shut off switches and manually adjust the stab trim. The stab trim wheels are large diameter wheels that spin right by the pilots and colors knees. They move whenever the stabilizer is moved. The wheels are about 10 inches in diameter so there hard to miss the movement. I have a question : Why have all the other flights had no problems? There have been issues already. But the issues were whether “saved” by pilots understanding that the trim was moving, and the disconnected the pumps to it. There have been flights (the one before the 1st crash) where the AOA (angle of attack) measurement device was giving wrong indications to the pilot and to the computer. As the 2 factors of a stall situation are the speed and the angle of attack, when there is an alert, it is possible to try to stabilize the altitude, increase the speed. However, this is only working if the information received on the computer or partially wrong (not the right measures, but not bad enough to cause a crash). The problem here is that the computer makes a decision without the pilot being involved, and that there is only one device that makes the measure. So when the device is wrong, the computer does the wrong maneuver. Airbus is using much more the concept of “flight envelop” controlled by computer. However, the pilots know it, and are trained to deactivate the systems that could make a mistake and that are not needed to fly. Plus, the concept of redundancy is seriously applied. Boeing didn’t inform the pilots of that system. And Boeing pilots who are “proud” to say that they are the pilots and that Airbus pilots are “only” computer operators, however, not expecting the computer to make undesired moves may have completely surprised untrained pilots to this specific situation… Plus, not having any redundancy is the most basic mistake possible in aviation. Each system has to be doubled / tripled. You still have the standard stall warning which shakes the control column, which is how they have done it for over 60 years. I think Airlines with the MAX in their fleet are going to take a huge knock. The general public wont really trust this aircraft, well not initially anyway. I’m still gobsmacked how this was not picked up in testing, and also not incorporated into simulators. I am 100% convinced that Boeing will fix this problem. I think that between the fix and improved pilot awareness of the MCAS issues, there should not be any more problems of this type. I also point out that pilots operating North American aircraft might have experienced MCAS problems but knew how to manage things. So pilot training at the international level must be emphasized! I will not board a Max during the first two years after they are in service again. At least two years. I would gladly board a MAX today with the properly trained pilots in the US or EU. There is nothing wrong with this aircraft only the training and experience of the third world operators. Boeing did screw up by emphasizing the similarities between the MAX and other 737s and sugar coating the differences though. Boeing have lost my trust. I will not be flying aboard this plane and will keep an eye on airlines that continue to utilize these aircrafts. I will never ever board a Boing! 737 MAX of any variant, shape, or size. There are ways to determine what type of aircraft you will be flying on. If I find out it is one of these misdesigned disasters I will cancel my flight or try to change to another flight that has a different (i e safer) design. No doubt that the public will finally kill this malignant beastie. The problem is, with over 4,000 on order it is very likely we will all be flying 737 MAX’s one day. If we all cancelled them, then Boeing would go out of business. Hmmm… to produce an aircraft today (clearly under competitive pressure) that has the worst aerodynamics of its type is ridiculous! The flying public are smart enough to know a software “fix” for a hardware problem is not a good idea. Cancel production of the aircraft and create the new one you were going to introduce back in 2011. Boeing has “MAXED OUT” the design of a 1960’s airframe and is a better company than this aircraft!